In a time of heightened anti-immigrant sentiment across the country, it is critical for citizens to better understand the realities and root causes of immigration. Immigration 101 workshops educate allies about the reality of immigrant experiences both in Philadelphia and across the nation. Workshops are activity-based and interactive, using both facts and storytelling to help non-immigrants better understand the root causes of migration and current effects of immigration policy. 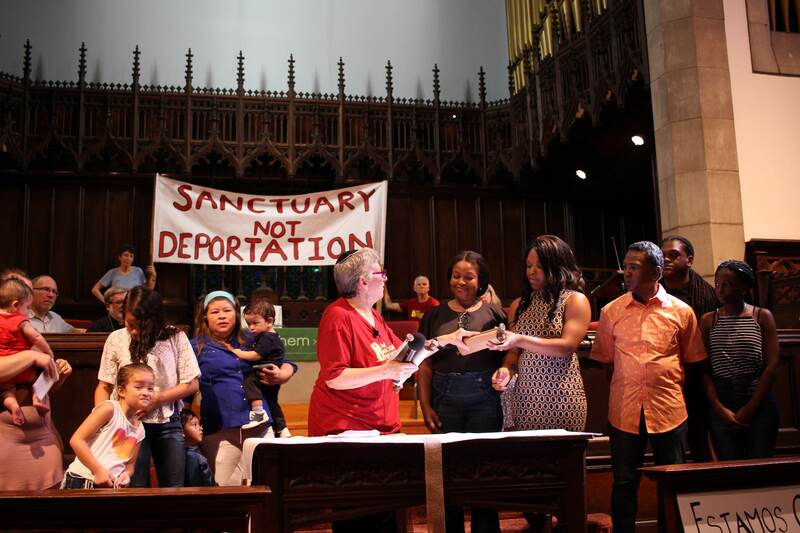 Led by NSM staff and hosted by Philadelphia-area faith communities, Immigration 101 workshops educate hundreds of people each year to distinguish between immigration facts and myth, and engage allies in our immigrant justice movement. Themes covered include immigration a as a faith issue; root causes of migration; an overview of the immigration and deportation systems; realities immigrant communities face today; and what you can do to help.